Aquatic weed control, management & maintenance for your pond or lakefront. Many of our clients are individual homeowners who need assistance with vegetation management. 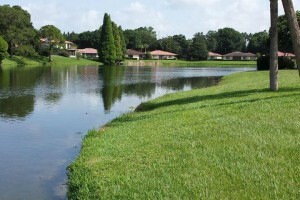 Whether you have a small pond or lake front, AAM can help you achieve your goals. Our experienced and knowledgeable licensed Applicators will work with you to identify your aquatic weed problem and develop a customized management or maintenance plan. From eradicating nuisance exotic weeds or eliminating your algae bloom, we’ll target the root of your problem providing you with immediate results. In addition to our successful treatment plans, AAM is committed to protecting Florida’s fragile ecosystem and uses only EPA registered chemicals. Free Quote. On-site within 24 hrs. Guaranteed*.